I've always wanted my blog to cover a variety of things and not just stick to one subject all the time. I've been meaning to do more music posts and thought now would be the perfect time. 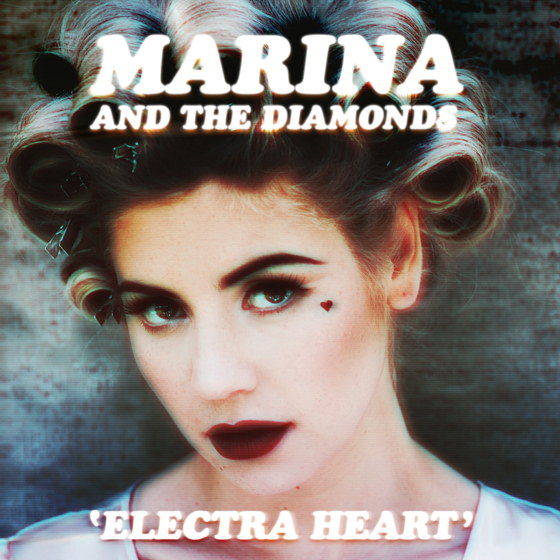 I am absolutely loving Marina And The Diamonds new album at the moment called "Electra Heart" first off the album name is so different and from that I knew I'd instantly be in love. Have you ever listened to an album that has literally made you question whether the artist had written it for you or not? this album always makes me question myself whether it was fate that I've fallen in love with it? I've always been a fan of Marina and I did like songs off her first album but after hearing "Primadonna" be the first single from Electra Heart I knew that there'd be more hits to follow. She's touring the Electra Heart album in October up and down the UK and I'm hoping to get myself some tickets to her London date. hooked on Lies but I need to start getting into the other songs on the album too. Overall this album is definitely my favourite of the year. I'm really happy Marina is back and I hope to see her in London for her tour in October. I hope Marina continues to write awesome music like this again in the future.